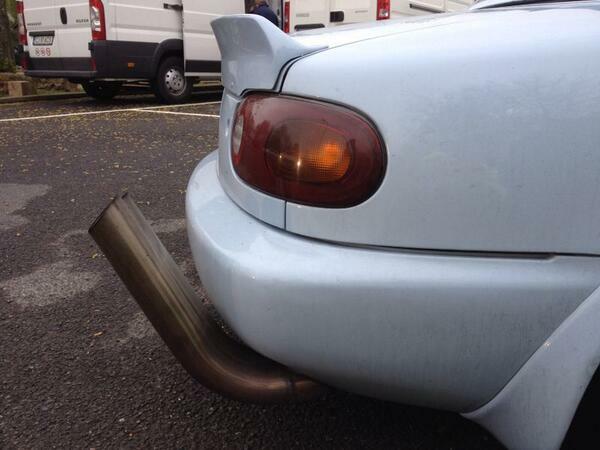 Kent's Traffic Officers stopped an MX-5 with this exhaust - https://pbs.twimg.com/media/BkjUjupIcAEcL34.jpg - Now seized for no insurance as was not declared to insurance company, who told officers the policy is thus void over the phone! It draws attention, but nothing stopping an officer calling up about your more subtle modifications. Consequences are exactly the same, this guy was just pushing his luck a bit I think! Not long until 10,000 posts. This is going to be my 4th year on the site as well. Time flies! Excited to post about Day #12 of Fiesta Owners Club 12 Days of Christmas. This ones BIG! It is good. I want the cleaning stuff I'm sure i can wedge it in my cupboard somewhere lol. I want the cleaning goodies! A busy day with the forum conversion!